This view, looking generally East from my hooch area, shows the fires burning in the Tri-Service Ammunition Dump about a mile away after sappers gained entrance and initiated the conflagration. 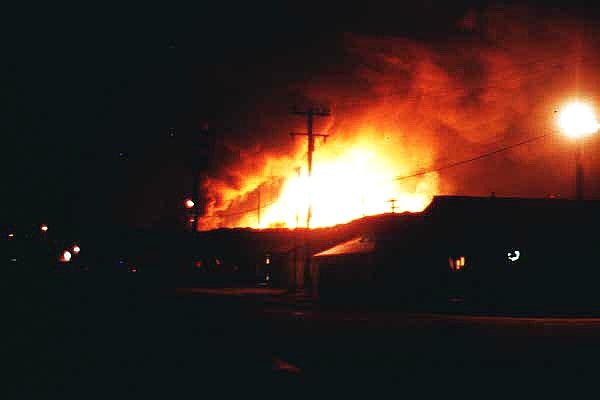 The explosions continued for most of the evening and the fires burned for several days. I was told that somewhat over $11,000,000 worth or ordnance was destroyed. It was a spectacular fireworks show!